Today’s post is one of those ‘nosy’ ones, which myself, I personally love. I love getting to know more about people, peoples lives really interest me! So I thought I would share a previous hobby with you all, and I don’t know, it may even inspire you to find a club near you and join! It is truly a fabulous hobby. 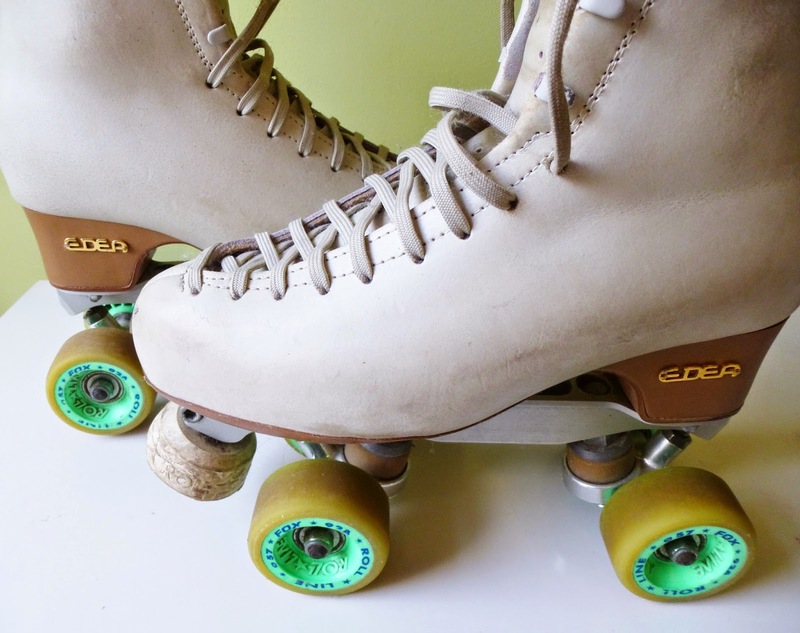 Okay, so my previous hobby (If you hadn’t already guessed with the image above) was Artistic Roller Skating. Some of you may know what this entails but some of you may not, so I will try and do my best to explain! When I went home for Christmas, and got back into my bedroom, I saw these looking at me. I REALLY miss skating as it is, but these starring at me didn’t help! I decided to photograph them for this post, and here we are! Apologies if they are dusty etc, I really haven’t used them in like 5 years 🙁 (that figure really saddens me) They were my BABIES. A really fun hobby, you meet so so many lovely people across the country when you compete, as well as it keeping you fit, because it is extremely tiring! 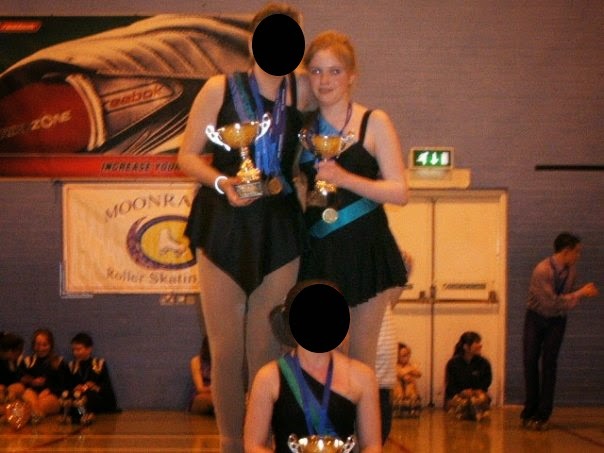 (This is the UK, but some compete nationally, so I am sure there are skating clubs for you to join all around the world!) I LOVED, the getting ready for the competitions. Wearing such a beautiful dress, and being covered in glitter and having my hair and make up done. LOVED IT. Although the competition part it self is really daunting, because it is usually just 2 people skating at a time and you are being judged by 3/4 judges. But I guess it is a good way to build confidence, but always the fear of I’M GOING TO FALL OVER because of a bobby pin. They were so deadly. Coming first was an AMAZING feeling. I always seemed to come 4th place, which was annoying but also still an achievement because there were often about 18 of you. Awwww. Wow my hair was SO long. It upsets me that these were the only photos I could find since the rest are on my old broken laptop, and I didn’t back it up 🙁 opps! The above I am only wearing my clubs colours dresses, whereas for my events I wore really pretty sparkly dresses. My favourite was like BRIGHT cyan blue and so so gorgeous. There are also events where you dress up in couples and dance together, they were really fun. Me and my friend dressed up as Tweedle Dum and Tweedle Dee. I am SO disappointed that I cannot find this photo for you to see. We were in HUGE costumes, incredibly hard to skate in, but SO much fun. Plus it is really quite an expensive hobby 🙁 I have been thinking of creating a society at my uni, but never been too sure if people would be interested in it. I WILL skate again in the future. You can find more about UK artistic roller skating here: http://www.fars.co.uk/ They have a list of the clubs around the country! Hope you enjoyed being nosy and learning something about me! I didnt even know you could compete in artistic roller skating! such a shame theres nowhere that does it nearby you but hopefully when it gets warmer at least you can zip around the park! Great post! Oh my goodness! I have never even heard of this 🙂 Sounds like so much fun!! !